We’ve been hosting work experience students here in the Newcastle Digital Hub for over a year now. As leaders in digital we want to inspire the next generation. 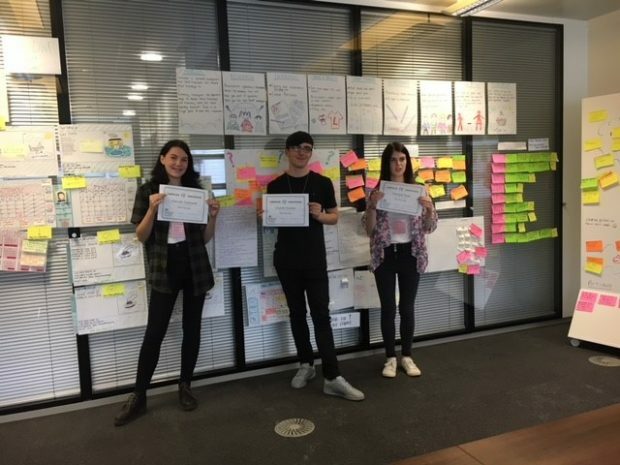 So keeping up this theme we recently welcomed 3 students from Chester-le-Street, Seaton Burn and Morpeth for the week to get a more in-depth experience of digital, data and technology opportunities in DWP Digital. At DWP we have ambitious goals to transform the way we're delivering our services. We believe this success relies on building motivated teams of talented people. Part of this is making sure that the next generation understands how important our work is and what their role in it could be. To help with this, we have an enthusiastic team here in Newcastle who enjoy promoting DWP Digital to students from local schools. Our work experience placements aim to give the students a real experience of a digital workplace and an opportunity to lead a piece of work of their own. We make it as exciting, engaging, and interactive as possible with collaborative working throughout. 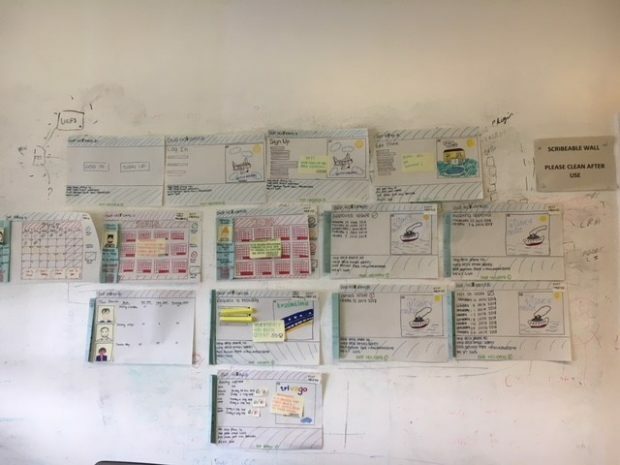 The challenge was to develop a holiday booking application prototype through an agile approach. We provided the support they needed to help them learn. And they certainly kept us on our toes! At the end of the week, we ran a retrospective with the team and students to help us improve the programme for future students. It was a great learning experience for us all! We were impressed by just how engaged the students were and how well they worked collaboratively. It was great to see their confidence grow through the week as they exceeded every challenge we set them. This was really demonstrated at the end of the week, when they presented their ideas to a large audience in their 'show and tell'. Through their confidence and added humour you could see they were so proud of their finished product. 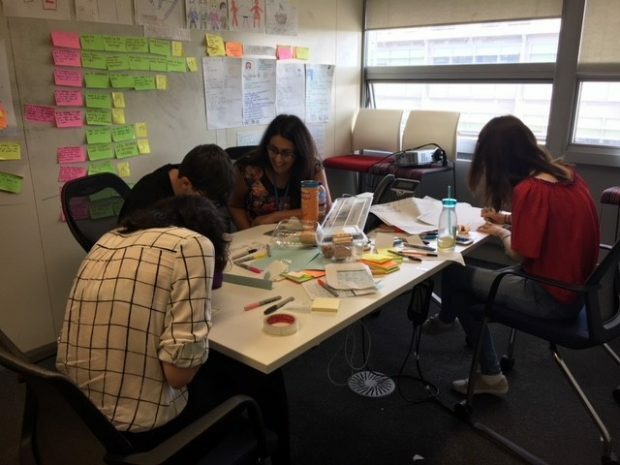 We're delighted to be able to continue to provide these experiences to students, and it’s rewarding to see the value in these initiatives when we're able to show what it's like to be part of a great team working in DWP Digital. To find out more about our work with students in Newcastle read my previous blogs: Unlocking the future of STEM, Inspiring the next generation and The future’s on our doorstep. wow - what great information.